Successful partnership is very important to Libra. In their view, happy relationship should be based on a successful family life, in which there will be plenty of love and warmth. They dream of a unique love that will bring them fulfillment, will wipe them out from everyday routine and boredom. They aren't very fond of love adventures, because mainly these are persons prudent and seriously treat the relationship. 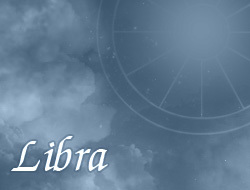 Libra shows high concern, understanding and practical wisdom. Very rarely commit betrayals, because try to be faithful to their partner. However, sometimes are conceited and quarrelsome – they want to aspire to stability, but sometimes it may require resolute decision. Despite everything persons from this sign have a chance to lead a successful and generous love life.